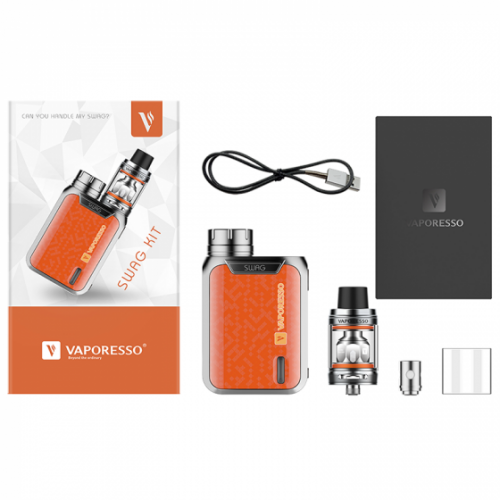 VAPORESSO SWAG Kit 2ml The Vaporesso Swag TC Kit comes with a 80W SWAG MOD and a 2ml NRG SE Mini Tank. 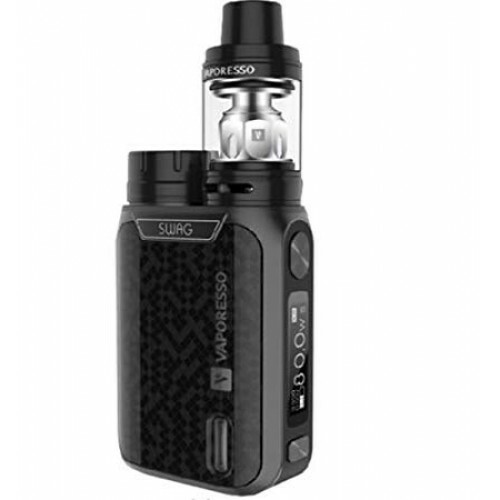 Just like the Revenger, the SWAG also has a OMNI Board 2.0 chip and supports various vaping modes - VW(H/N/S), CCW, CCT, VT(NI,TI,SS), TCR(M1,M2), RTC and BYPASS. It adopts the IML(In Mold Label) design for greater wear resistance too, making the SWAG a durable device. Paired with the NRG SE Tank, it has a twist open filling design and adjustable bottom airflow. 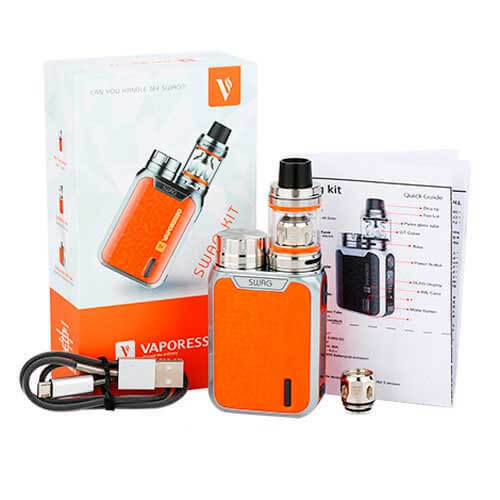 The NRG SE is compatible with GT cores for different vaping experiences. Battery 18650 not included (Sony Battery - Pack of 2) !! !